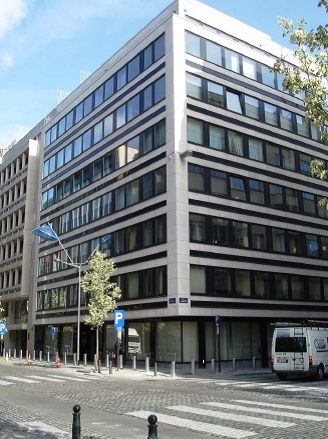 BNP Paribas REIM has signed a share purchase agreement on the Montoyer building in Brussels for a purchase price of 11.3 million euros on behalf of Next Estate Income Fund (NEIF). The asset is located in the Leopold district, one of the top office districts in Brussels thanks to its proximity to European institutions. Montoyer has a surface area of approx. 3,860 sqm and is fully let to an intergovernmental organization. The asset is certified BREEAM good, reflecting the fund strategy to invest in core assets in Europe with a focus on sustainability. NEIF is a European fund, managed by BNP Paribas REIM Luxemburg, which offers diversification in the Eurozone office sector to international institutional investors. Its successor NEIF II Fund, launched in 2014, is fully invested and exceeds 800 million euros GAV. NEIF III fund has been launched in 2017 and started successfully its investment phase in the Eurozone while aiming a distribution of 4% p.a.